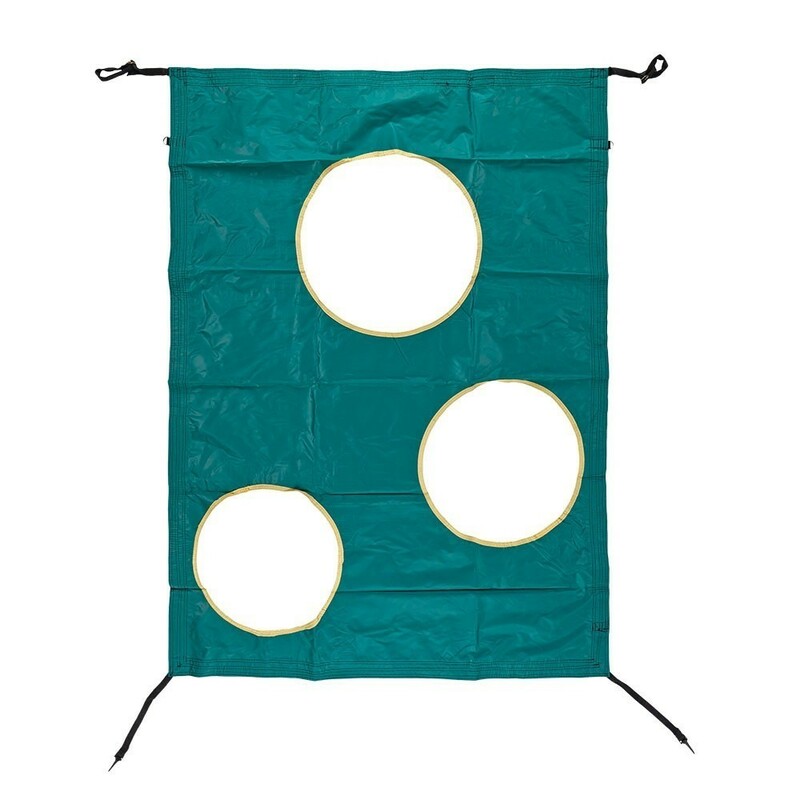 Here is the essential accessory to spend hours playing on your 8ft. trampoline! The trampo-football is a canvas with 3 holes that are to be used as targets. The aim of the game is of course score goals and get as many points as possible! 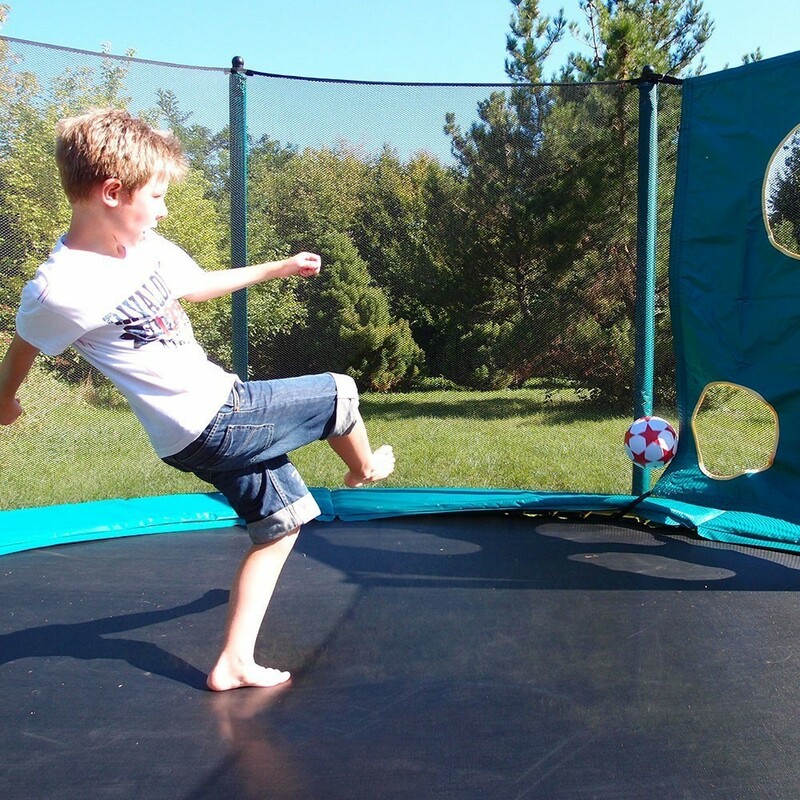 - The trampo-football 250 is only compatible with 8ft/250 trampolines with a safety enclosure, such as the Jump’Up 250 and Access 250. 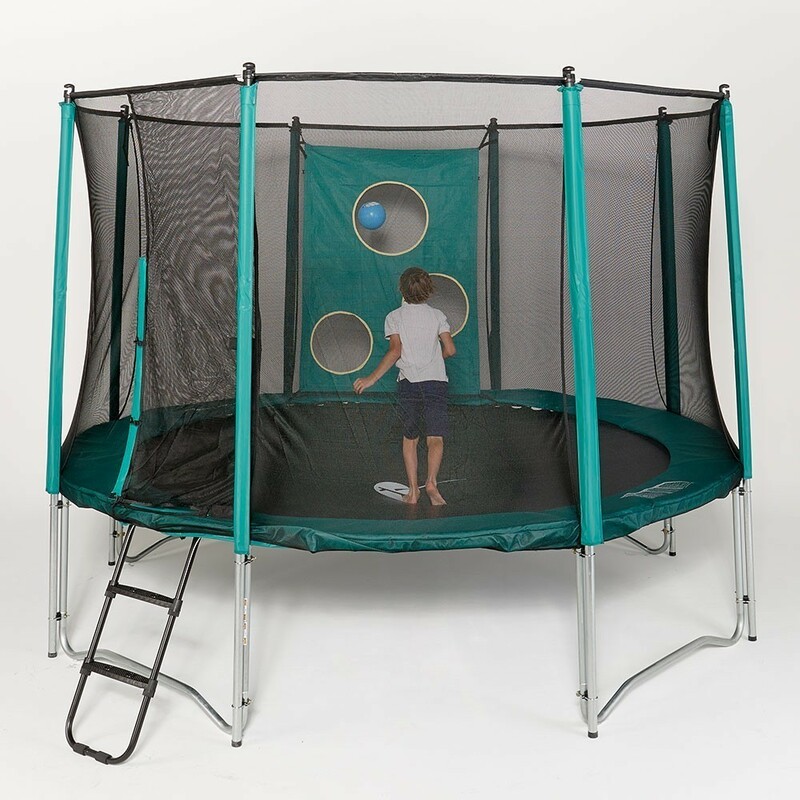 The enclosure must be installed around your trampoline with vertical net posts. - The canvas is made from a very resistant PVC. The edges have been treated (large reinforced bands around the sides) to avoid any risk of tearing. 3 holes are spread across the canvas at different levels, large enough for a ball to pass through. - This accessory is easy to install with the help of 4 adjustable straps. It is better to have net posts with a plastic nozzle on the top for an ideal grip. - As fun as it is athletic, all children that like to play will be drawn to the trampo-football, all you need is a ball and some energy and you’re ready to go! 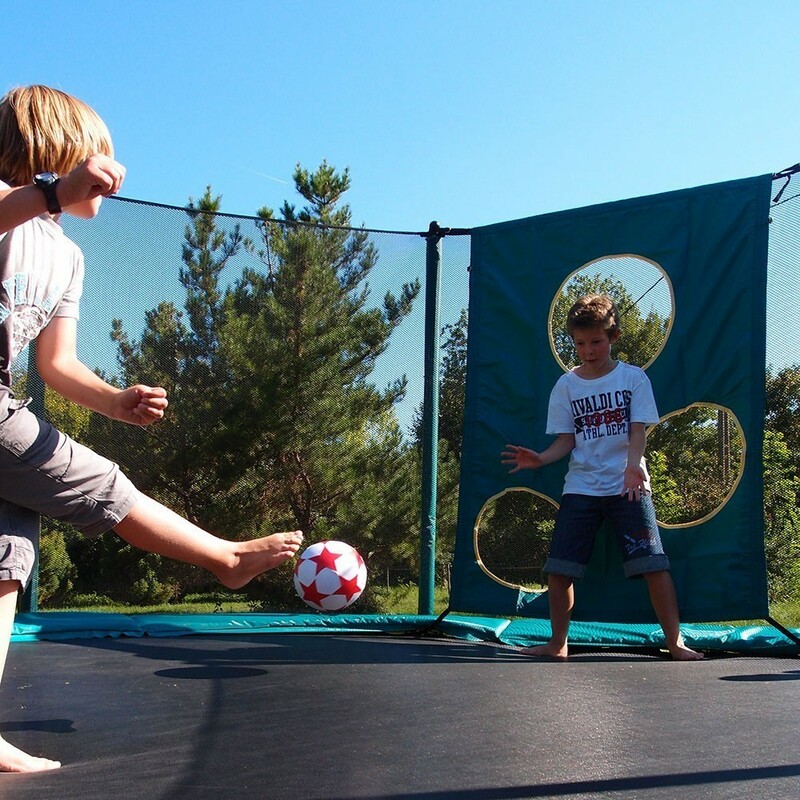 Playing with a ball on a trampoline will help develop your child’s coordination and balance.